Dior’s Paris store is celebrating its 60 years as one of the leading fashion houses in the industry in regal style. Designed by American architect Peter Marino, the house of Dior, which is planning to revamp its Paris flagship store, is expected to mount a spectacle filled with all the pomp and circumstance that befits Dior’s standing in the world of fashion. 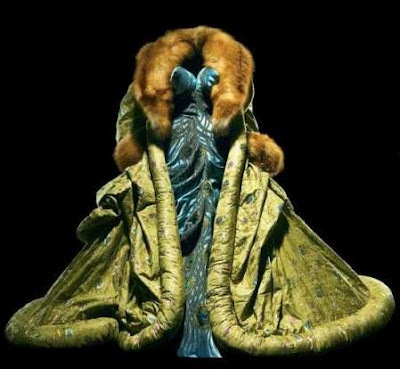 The three gowns showcased in the gallery are part of the store’s collection with the pompous and splendidly regal attire adorned with a fur collar taking center stage.